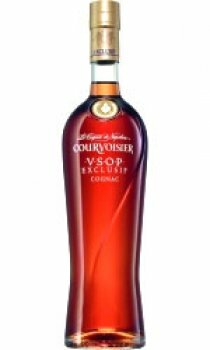 Complex, deep and extremely versatile, Courvoisier VSOP Exclusif is considered one of the finest cognacs in the world. Combining spirits from the four best crus in the Cognac region, including a 12 year old from the smallest, most exclusive Borderies cru, hence its Exclusif name, it has a memorable rich and sublime flavour that's perfect for cocktails. 'Very smooth with an excellent balance of oak and floral flavours that can be fully appreciated neat or mixed with ice and water, it's also excellent with long drinks.' Patrice Pinet, Master Blender. This is a lovely VSOP. Fruity and quite smooth, very good to drink on it's own - or before a wedding as we did before my brother tied the knot! I would rate this as my 3rd favourite VSOP behind the Hine Rare VSOP and Remy Martin VSOP.